GRP Composite Doors are made from polyester, and they are great because of the low maintenance, rust and dent proof and can be styled in various ways, giving them an advantage over wood or steel doors. Carry on reading to find out more about ‘Advantages of GRP Composite Doors’. GRP Composite Doors make an excellent exterior door because of the low maintenance. GRP Composite Doors are made to measure and are rust proof, dent proof, and wind resistant and water resistant, this means you don’t have to maintain the doors continuously. These doors are very strong and sturdy meaning that it is guaranteed to have a longer lifespan than some other styles of doors. They also have a high resistance to denting, warping, bowing, twisting, splitting, peeling, flaking, cracking and fading, making them extremely durable. GRP Composite Doors offer the maximum security with multiple locking areas allowing you to lock the door in various places for optimum safety preventing unwanted visitors entering your home. Composite doors are thick and more thermally efficient than some other styles of doors, minimising heat loss meaning you can stay warm during winter without a cold draft flowing through the door.  GRP Composite doors are made according to your preferences. These doors come in a wide variety of different styles and colours, which you can choose to fit with the style and scheme of your home making it unique to you without having to worry about the colour discolouring. You can choose the colour, finish and the style of your handle. These doors can also be used as either a front or back door. Also, the GRP makes a perfect finish for doors. With composite doors, you don’t have to worry about the unattractive rubber gasket seals showing on them.